The .243 Winchester is a popular choice among shooters. This cartridge was first manufactured in 1955 for rifles such as for the Winchester Model 70 bolt-action and Model 88 lever-action. Nowadays, basically every major manufacter sells rifles chambered in .243 Winchester. It’s a no-brainer, having the combination of both lightweight (50 to 80 grain) rounds for hunting coyote-sized animals and the 90 to 105-grain bullets for relatively larger targets. The .243 Winchester simply proves to be an ideal candidate for all your hunting and shooting fun with its dual-purpose use. The .243 can shoot up to 200 yards with less than 1 MOA. With the right scope and enough practice, you can triple this distance and even more. The .243 is capable of doing it, are you? For a rifle with a 22-24″ barrel chambered in .243 keep these rough measurements in mind. For taking long-range shots, you’re going to need some skills. But skill alone isn’t enough. A proper magnification will do the trick and give you the ease and clarity required for such shots. But even if you’re not going for any challenging yardage, a scope is required for proper locking on relatively small targets. Of course, as you might have guessed, the further the target, the higher the required magnification will be. At this level, you’ll need all the clarity and magnification that you can get, especially if you intend on going for smaller targets. 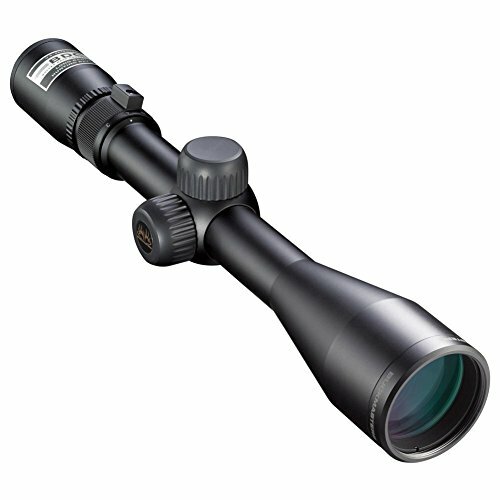 Your best choice for magnification, in this case, is with scopes of 9x and up. Also, for the small targets that you’ll be dealing with, you’ll need to counter the downside of the distance with large scope lenses for a maximum light absorption and hence better clarity. For that, 40mm lenses are the way to go. I will give you a few recommendations with similar characteristics. Now at medium range, you’ll find more comfort in using your .243 equipped rifle. But magnification should never be an afterthought. You’d still need some zooming ability, albeit less than previously mentioned. 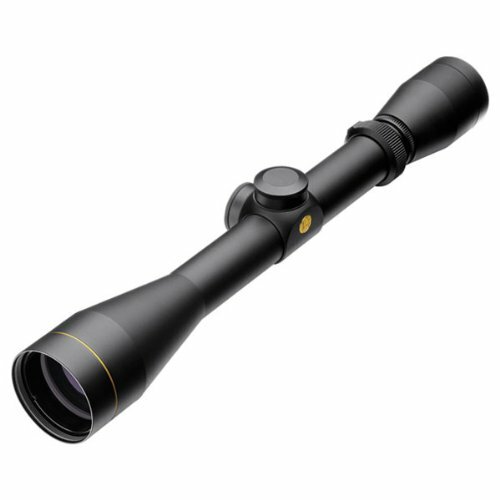 A scope of 5-9x is a suitable range for the requirements of medium distances. There isn’t anything the .243 cannot hit and even obliterate at this range. Since your targets are closer, you’ll have to go for scopes with magnification of 1-4x. So now to the bread and butter of this article. You want some help figuring out the best scope for 243 Winchester. Well, we got you covered. We went through all the trouble and found 4 suitable scopes for rifles using rounds such as the .243 Winchester. You may have noticed that some scopes use the term BDC while others don’t. What does that mean? BDC stands for Bullet Drop Compensation which basically means that you don’t have to adjust the elevation for longer range shots, just get the reticle that matches the distance, and you’re good to go or to pull the trigger in our case. Now, our job here isn’t entirely done. You might want a bit more explanation and persuasion to truly find the perfect match for your personal requirements. So, we’re going to dig deeper into the specifications of each one of our recommended scopes to help you choose the best scope for 243 yourself. This one right here is one of the best scopes for any .243 rifle that you can find out there. It’s targeted towards big game, predator/varmint, long range hunters, which probably means you if you’re reading this. Vortex Optics have created a piece of equipment that’ll surely prove helpful in handling because of its impressively lightweight body. As it’s aimed for long range usage, it was made to deliver crystal clear view throughout any given time of day thanks to its multi-coated lenses. Add to that the eyepiece that offers easy manipulation of the Dead-Hold BDC reticle. There’s also the zero-reset turrets. After sight in, you can easily rotate to your zero and get into the action seamlessly. 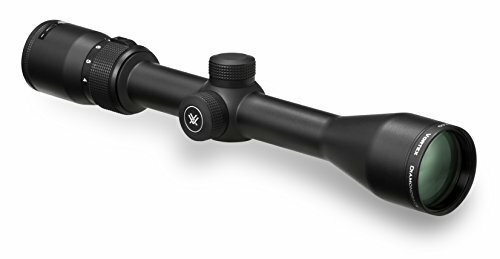 What’s also neat about this scope is its shockproof and durable, recoil-resistant design with its anodized surface, which helps maintain a low profile. Plus, it also proves to be of great manufacturing quality. This thing will maintain a waterproof, fogproof performance for an unbelievable amount of time. No matter where you are: snowy mountains, green hills, by the riverside, humid or dry climates, this scope got you covered. This .243 scope can almost be called perfect for the tasks you’re most likely looking to accomplish. One thing it’s not commended for is that the parallax isn’t that great after the 50-yard mark. Sure, it may affect the time you put in adjusting your shot. But with everything else included in this awesome piece of machinery, it’s not that big of a problem. One good thing to know is that this is the most expensive scope on our list (for a good reason) and it’s still not ridiculously over-priced in any way. The VX-1 is a testament to the ingenuity of the Leupold Brand. This right here is a good example of a budget scope that a .243 rifle user can rely on for close-range shooting. And even though it might be on the cheap end of most Leupold scopes. Believe it when I tell you that you’re getting your money’s worth and even more with this one. This is another waterproof, fogproof piece of equipment. Very resistant to recoil and it comes with Leupold’s very own Quantum Optical System. Now, you might be wondering what that fancy term means. Well, in a nutshell, it’s the fruit of Leupold’s engineering and research to deliver a scope lens that’s able to provide the fines. Leupold’s Multicoat 4 provides a satisfying 92% light transmission. Very handy in even extreme low-light conditions. The visualization of the target is key. But you already know that. Its parallax setting sits at 150 yards, and it comes with an LR Duplex reticle that features two dots on the elevation cross hair below the center that serve as a basic bullet drop compensator. This scope is a great first choice if you’ve never tried a similar item from the Leupold family. It would be foolish to ignore the hard work and development they have put in this excellent piece of equipment. Purchasing it gets you a good deal if you consider the quality-price ratio, especially if you can get it your hands on it from an online supplier. The only thing that we think it would make it better is a more advanced ballistic reticle option. The existing one is fine by itself. But we would’ve expected a better companion for the impressive build of this scope. All in all, we definitely recommend this one for all your close-range fun. The VX-1 would also be a good choice for the more powerful 30-06 caliber. This is Nikon. That should be enough to get you convinced on the reliability of this scope. But we promised to help you out here, and that’s what we’ll do. Now, this thing comes with all the good stuff. This scope is durable and very versatile. It ensures a full resistance against water and fog. All that thanks to the O-ring nitrogen seal. This thing can handle some real abuse. And let’s hypothetically say that it would sustain some serious damage during packaging and delivery upon purchase. Nikon still got your back with a limited lifetime warranty. All in all, you don’t need to worry about this scope, it’s reliable in all climates and conditions: humid, dry, wet, snowy, you name it. Let’s talk about the lenses. The collaboration between Nikon and Buckmasters got us the development of fully multi-coated anti-reflective lenses that can deliver all the lovely 92% light transmission for all hunting enthusiasts. Even though some report blurring images at close to mid-range. But otherwise, the quality remains top notch. It doesn’t come with parallax correction as it sits at 100 yards. But what it comes with a is a BDC reticle with see-through ballistic circles (that improve positive vital zone acquisition) and the Spot On Ballistic Technology. It’s basically an online program provided by Nikon that allows you to customize the reticle based on data you provide related to your cartridge (guessing it’s the .243 in your case). This provides you with versatile aiming choices. At the end of the day, Nikon is providing a cheap yet a very reliable scope. And the quality is in no way undermined by the low price. As we stated before, this is Nikon, and its scopes certainly pass the test. This Bushnell Banner Dusk & Dawn scope is another example of a quality scope at a reasonable price. It’s one of the most popular scopes around in the market. It comes with its very own Dusk & Dawn Brightness (DDB) Coating that ensures clear and bright lenses during any moment of your hunting day. That’s really something for such a cheap piece of equipment. The name of the brand isn’t just a fancy phrase. This scope can truly deliver reliable imagery from the first light of day to the last. What’s also nice about this one is that it comes with the Multi-X reticle. It’s a duplex style crosshair; ¼ MOA fingertip windage, elevation adjustments, and reset-zero turrets. Something that most hunters are very accustomed to. It should be noted that it doesn’t come with parallax adjustment. And you don’t have to worry about all the rough conditions around you. This one, like all mentioned before, is also waterproof and fogproof and can hold it’s on against rough recoil. Pop in your .243 rounds without a second thought. Don’t let the price tag give you doubt. Although it might be the cheapest scope that we recommend on this list, this thing is nothing short of a good investment. It can be a very good ally of yours when you decide to take your .243 rounds for a hunt or to a shooting range. You won’t be disappointed. So that’s pretty much it. Those are the best optics for .243 Winchester. You deserve the best rifle customization to really get the best out of the .243 Winchester. And the list above is nothing but a summarization of the best products the market has to offer for such cartridge. Delivered to you by the best craftsmen in the business. So, what are you waiting for? Make your choice and get into the action in the only way that it’s meant to be done.